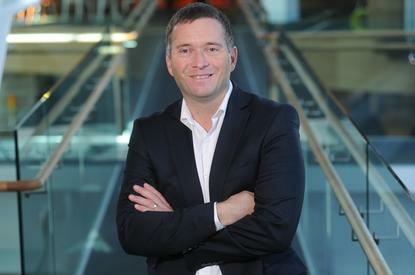 Spark New Zealand’s Jason Paris has stepped into the role of CEO Spark Home, Mobile and Business (HMB) today, following the departure of former CEO Chris Quin at the end of June. Paris has been with Spark New Zealand for four years as General Manager for Spark HMB, and was pivotal in the transformation from Telecom to Spark New Zealand. As CEO he will lead a team of over 2,000 employees, providing more than two million New Zealand consumers and SMEs with access to broadband, mobile, WiFi and a range of other services. Paris says his immediate priority is to ensure the momentum behind Spark continues, with a clear focus on existing customers. “It’s a rare thing for a company to make its existing customers feel as though they are the more important than anything else - and in particular more important than the people the company still has to convince to join up - but Spark wants to be that brand,” he says. Paris thanked former CEO and mentor Quin for the legacy he was leaving behind at Spark HMB. “Chris is a New Zealand business legend, and he has our wholehearted best wishes as he takes up the role of CEO at Foodstuffs - an iconic New Zealand brand,” he adds. Paris has a strong commercial, strategy and marketing background, particularly in the media, technology and retail sectors. In previous roles he was CEO of TV3 and Four and also held executive positions in New Zealand and Europe with TVNZ, Nokia and McDonalds.